Comments: P-Patch garden in suburban neighborhood. 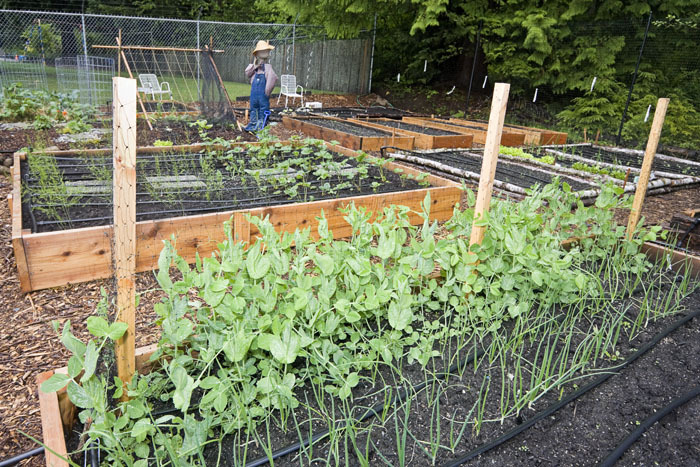 P-Patch gardens are created and tended by local people to grow vegetables and flowers. Issaquah, Washington (Seattle suburb). The raised beds here hold an assortment of lettuce, spinach, carrots, broccoli, peas, strawberries, potatos, pumpkins and more. Several farmers also made scarecrows for their raised beds.